Ozone Frenzy FX 9m and MBS Comp 95 :: SpotTrotters.com :: Spots pour Sports de Glisse et Sports extrêmes ::. Publié le Monday 3 March 2008. More than 2 years after my first kitesurf experiments I moved to London and as everybody knows kitesurfing is not very compatibly with London ... or that was my thoughts. Newton law of evolution tells us that before everybody was living in water, evolution is what it is and a big bunch of our gran-gran-gran-ancestors moved on earth. I decided to follow the same path and move from waterworld to the big dry. Landkiting sport of future ? kitesurfing in only for oldies ? I should be to give you my opinion within the next weeks. That was the pre-history introduction, more seriously, I moved to London 4 months ago. Living in the city center, I don't have any car and there is no really practical solution to kitesurf from London using public transport. If you add on top of this the difficulty to take care of a kite within a flat (washing it to remove salt ...) and it is close to mission impossible. One of my skate trips within London brings me to portobello road and I found a small shop called london beach store, this shop sells was selling (the shop is closed right now) beach stuff including kitesurfing and landkiting. I spoke with one of the guy from the shop told me that landkiting is possible in London and that there is even a landkite school. So I decided to take a lesson to learn how to manipulate a depower landkite and also to figure out if I like landkiting on grass. I only had a few trial with a MTB and my inflatable kites. After two hours with Mark from kitevibe (the kite school) I took my decision, after quickly eliminating my unadapted inflatable kites I started looking to buy some stuff. I quickly chose to go for a landkite instead of an inflatable kite which is not really adapted to kite on land, I just have to choose the kite. 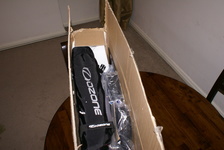 The Ozone Frenzy FX kite is one of the most well criticized kite actually. 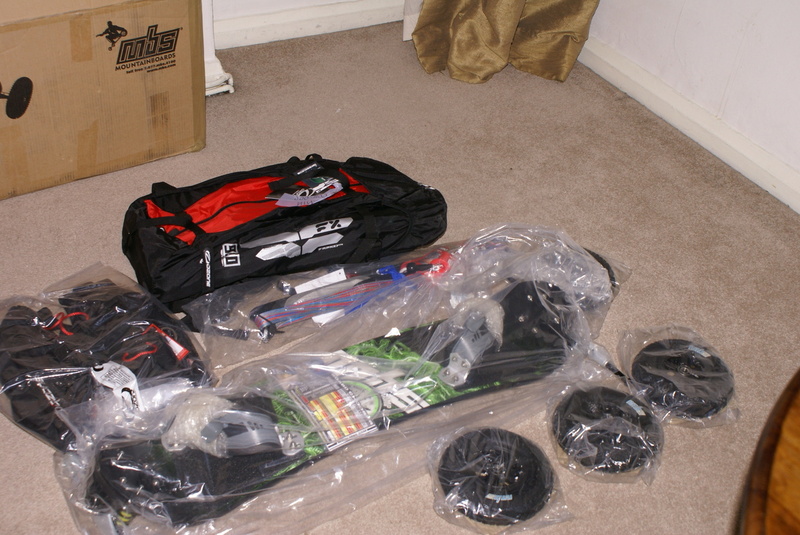 After few (few start from 2 ;) ) years of kitesurfing behind me I was looking for a kite which will help me to progress and that I can keep long enough for my small budget. 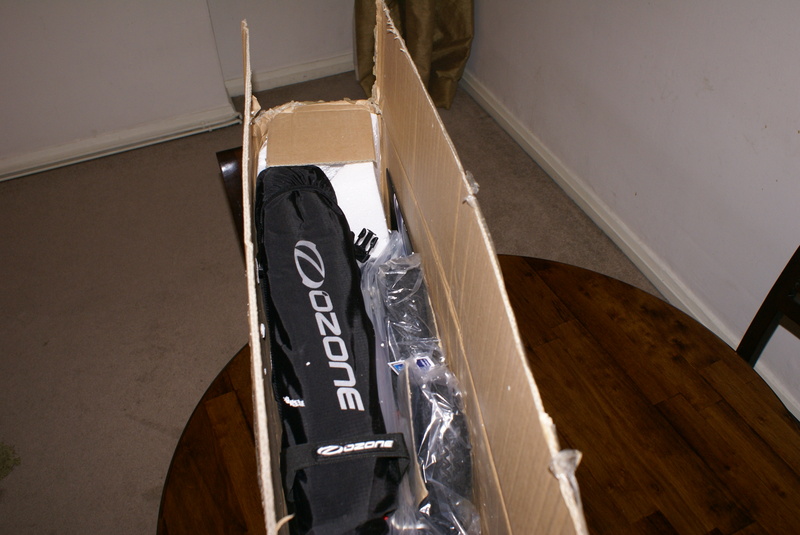 And I also heard that there has been a slightly improvement on the 2008 Frenzy, so that's it, I found my kite. 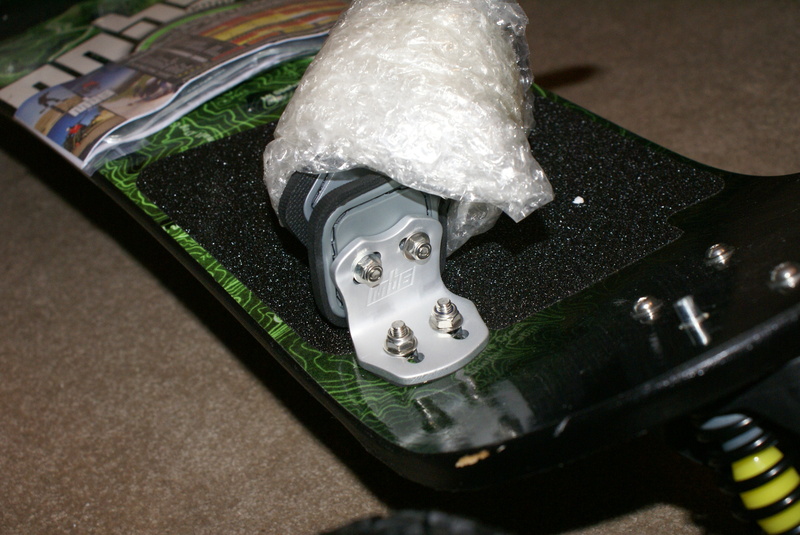 I didn't took as much care to choose the skate, browsing the web I noticed that one of the most sold brand is MBS. The MBS Comp 95 MTB allows me to adjust the sensibility of the Matrix truck and I can add brakes if I decide to try off road downhill in the mountain and the bindings seems quite good. But this skate is a little more downhill than landkiting oriented. Buy online in the US and ship everything to the UK. Instead of speaking too long about the choice here is a table with prices I noticed. For an order of this price, shops usually offer the shipping costs. I spared a minimum of 188 £ by buying in the US, with a low dollar it is quite interesting, basically it is nearly the price of the skate. My firsts thoughts were that UK will be the most expensive but in fact France is. The reason is probably linked to the number of landkiters which is lower in the UK than in France. I finally decided to buy everything from kite-line.com, an US based online shop located in Oregon. There is less human contact when buying from the Internet but on the other site 188£ is quite a big amount of money. What decided me to buy on this site instead of another one is the online chat, you can chat in real time with a guy from the shop, it gives a kind of confidence. The waiting phase begun once I placed my order, and in that case an order from the US can be quite frustrating. The shop didn't had everything in stock and was a little bit too optimistic on the delays once I placed the order I had to wait until everything was provisionned by the shop and send it. Once sent I had to wait until it comes to the UK and left customs. 22 days (instead of the initial 5-7 days announced by the shop), a lot of patience is necessary, and a lot of you will certainly decide to buy it from a local shop. Furthermore, you could get some discounts by buying from a local shop, via clubs partnerships. And in case of issue with the hardware it is a lot easier. Concerning Shops, I can't give you any advices to only shop I know are French. But if you want to buy it online from France, flysurf.com is very good. I had to collect the box from the depot, which is far from an easy thing to do, the London depot is in Camden Town and is is not really easy to move a 15kg box around London in public transport. The box doesn't seems to have suffered from any chocs but it should have been quite trick to fit everything in, there is no space left at all. 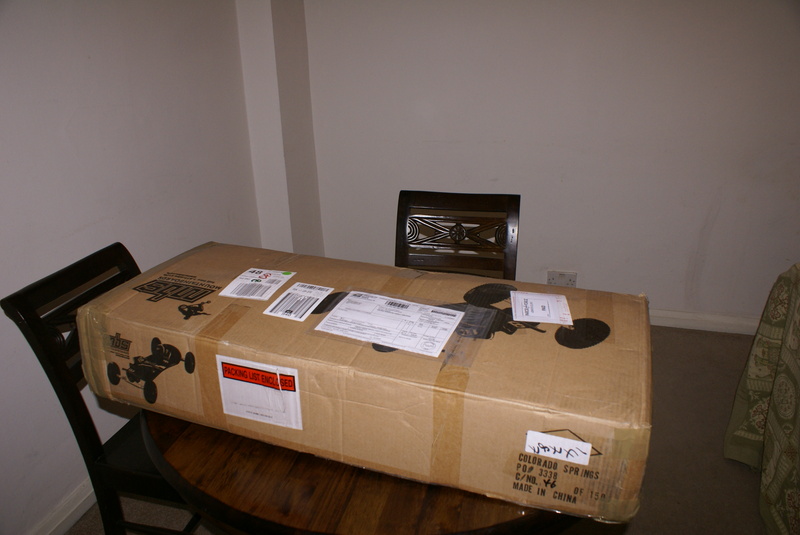 Everything arrived in a quite good condition, the only thing I noticed is a bit of paint missing on the deck, it could have happened in the factory and not during the shipping.